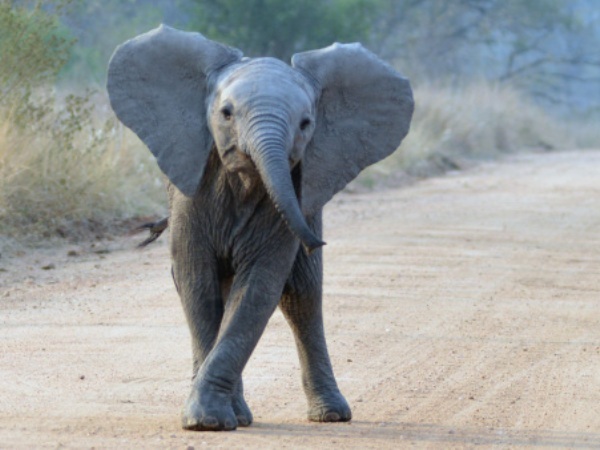 A baby elephant wandered into a family home after getting separated from her herd. A woman found a baby elephant in her house. Francoise Maldy Anthony, KwaZulu-Natal, spotted the animal approaching her ranch on the Thula Thula Game Reserve, where it began wandering around the garden before making itself comfortable in her living room. The youngster - who's been named Tom, even though she's a girl - walked over 48 km after getting separated from her mother on the 4,500 hectare park, according to the Metro newspaper. "We helped her into the living room and just left her free to roam," she said She was only here a few hours before we took her back but it was magical."